From an Everett Police Department news release. 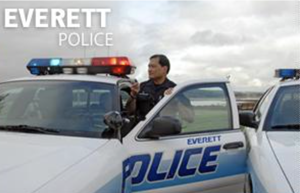 Detectives with the Everett Police Department Major Crimes Unit are investigating the discovery of a human foot that was found on Jetty Island in Everett on Tuesday afternoon January 1, 2019. Just after 2:00 pm on New Years Day, beach goers on the south end of Jetty Island called 911 to report the discovery of a boot with a foot inside. Marine Operations officers and a Major Crimes detective responded to the island and confirmed the finding of what appears to be a human foot inside a boot. Based on its condition, the boot appears to have been in the water for some time. Detectives are investigating but cannot establish a definitive timeline or reason for the discovery. Additional information on this incident is not expected unless the Snohomish County Medical Examiner’s Office is able to develop information during its investigation.